Hoo, boy. 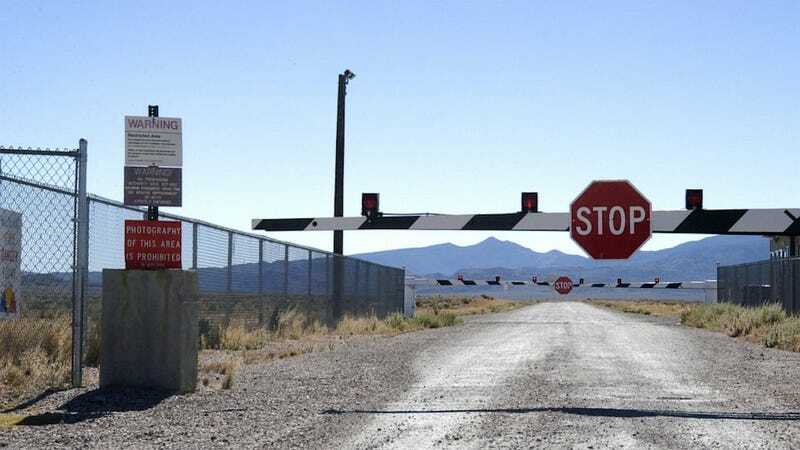 After years of speculations — as well of years of pretty much everyone knowing about it although everyone in power denied it — the U.S. government released a classified document confirming that Area 51 is a real government testing site. As for crashed UFOs and alien autopsies? Not so much. Although the report makes no mention of the sensational stories that have played out in pop culture for decades, it turns out that Area 51 was started as a testing site for the government's U-2 spy plane. The report, more than 400 pages, is titled "Central Intelligence Agency and Overhead Reconnaissance: The U-2 and Oxcart Programs, 1954-1974." The U-2 spy planes were commonly used by the United States during the Cold War in reconnaissance missions around the globe. Officials and former employees have previously acknowledged in passing the existence of the facility and how it was used for testing U-2 planes, but this is the first time the U.S. government has openly referred to Area 51 and given specifics on its operations. The report also features a map of the area. It makes no reference to the status of Area 51 after 1974. The report states that the secret U-2 testing is what lead directly to the reports of U.F.O. sightings in the area, especially since the U-2 flew at 60,000 feet, far above the height that other planes of the time regularly flew. The documents claim "U-2 and later OXCART flights accounted for more than one-half of all UFO reports during the late 1950s and most of the 1960s." So! That solves that. ...Unless this is the government trying to misdirect us because they have an actual spaceship and a pile of gray alien corpses stored away under there. What about the other half of all UFO reports during the late 1950s and most of the 1960s, huh? WHAT ARE YOU HIDING, GOVERNMENT? Image via Barry King/WireImage/Getty Images.